"My name is Mariska, I'm 35 years old and I am from The Netherlands. I'm married to my best friend Marco and together we have three children, Dyanne (6), Amy (2) and Leon (who will be 1 in April). With a husband who makes long days working in the IT branch and who finds his relaxation in sports, I am the creative force who keeps things going at home. I find my peace of mind in crafting. 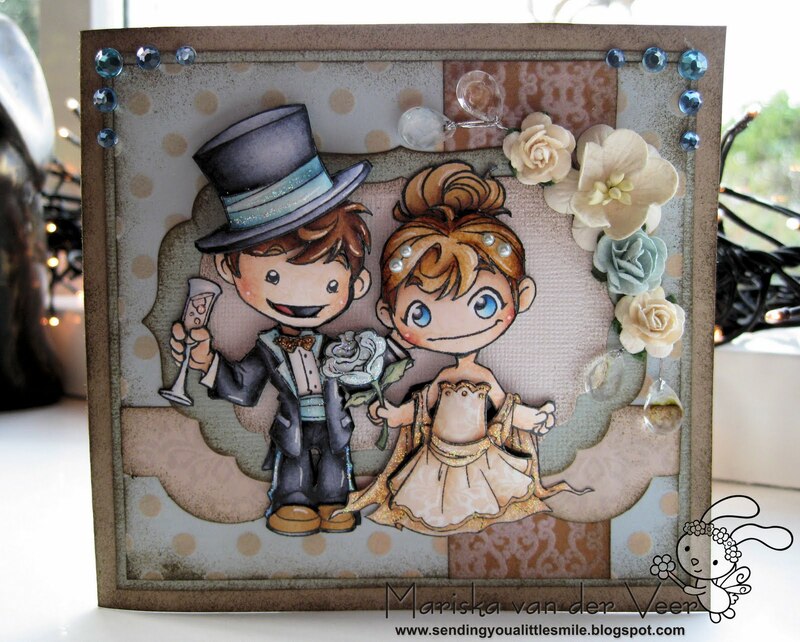 My passion is coloring stamped images and my favorite technique is working those stamped images to 3D ones. I have been following Whiff of Joy ever since Katharina started it and have collected a substantial number of Whiff of Joy stamps along the way. Now and in the past the Whiff of Joy team has always existed of some of the best crafters in the world, to have been given the chance to be a little part of that team is a real honor and I thank Katharina SO much for this opportunity!" "Mein Name ist Mariska, ich bin 35 und lebe in den Niederlanden. Ich in mit meinem besten Freund Marco verheiratet und wir haben 3 Kinder, Dyanne (6), Amy (2) und Leon (der im April 1 Jahr alt wird). Mein Mannmacht regelmäßig Überstunden in der IT Branche und findet seine Erholung im Sport, deswegen muss ich hier zu Hause alles am Laufen halten. Ich finde meine Ruhe im Basteln. Am Liebsten coloriere ich gestempelte Motive und meine liebste Technik ist es diese Motive in 3D umzuarbeiten. Ich bin ein Fan von Whiff of Joy seit Katharina die Firma gegründet hat. Ich konnte schon eine beachtliche Sammlung ihrer Stempel zusammentragen. Whiff of Joy hatte schon immer eines der besten Design Teams der Welt, deswegen ist es mir eine wahre Ehre ein Teil davon sein zu dürfen." Thank you so much Mariska. Your colorations are heavenly and I am so happy that you are on the team. 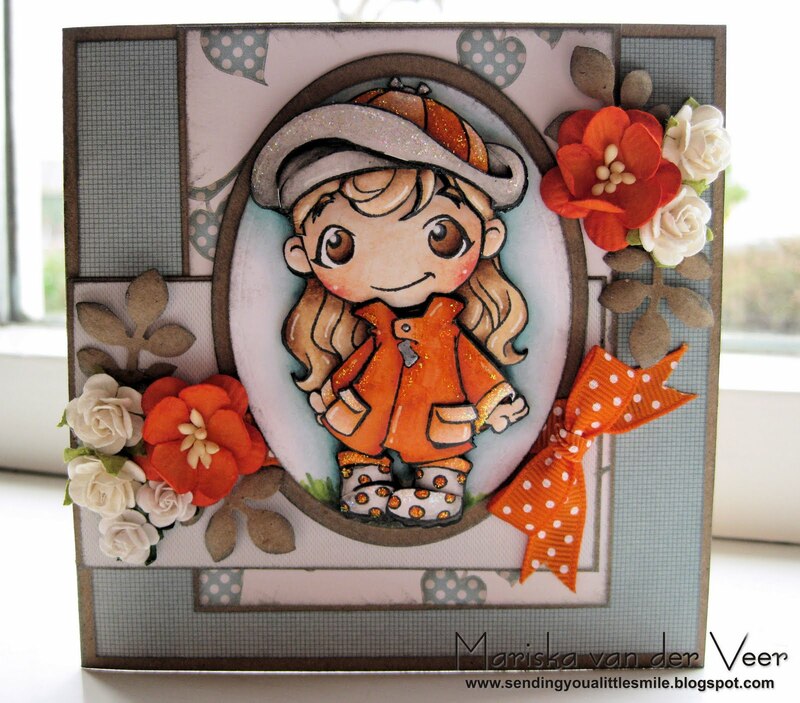 A interesting sidenote: Mariska has been Whiff of Joy's very first customer, when we released our first set of stamps 2,5 years ago. This is such a thrilling memory!! Vielen Dank Mariska. Deine Colorationen sind einfach traumhaft und ich bin sehr froh dich im Team zu haben. Eine lustige Anekdote: Mariska war der aller erste Kunde von Whiff of Joy, als wir vor 2,5 Jahren unsere ersten Stempel herausbrachten. Was für eine schöne Erinnerung!! Hihi, it's so funny to go on your blog and see my own face :), and how funny that I was your very first customer! I knew I started collecting your gorgeous stamps from the very start but to have been the first!! Thank you so much for your lovely words Katharina! Great cards! I love them all, but my fave has to be the first one. I am coveting that stamp and hoping to order it for my bday next month. Now I want it even more, and I didn't think that was possible! Congratulations. The cards showcased here are just fabulous. 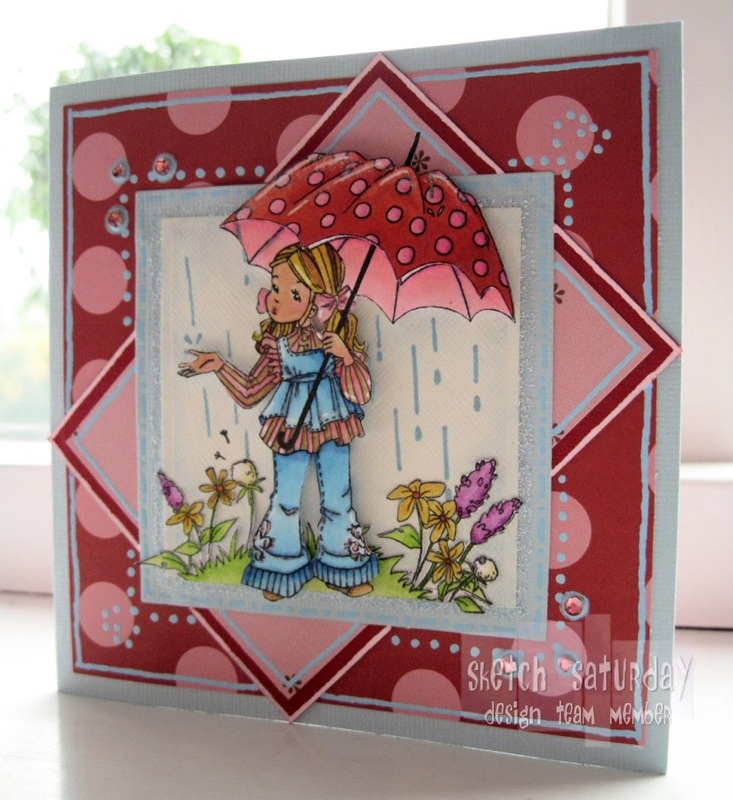 Especially love the card Willow with Umbrella.